8 Things to Do and 1 Thing NOT to do, if everyone around you has the flu! Is everyone around you sick? 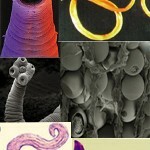 Are there dangerous viruses going around? 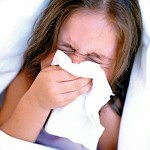 Are your friends sick all the time and you are afraid you will get sick too? Do you want to be the exception? Wash your hands frequently! By doing that you minimize the possibility of germs and other viruses developing. Always wash your hands before and after meals and bathroom use. Drink a lot of fluids! If you drink at least 8 glasses of water daily you will increase your visits to the bathroom, you will get rid of germs and you will hydrate your body and clean your respiratory system. Ventilate your environment frequently. By opening the windows often and the doors of your house you are helping keep your environment clean from germs. Take a good Vitamin C at the right dosage. According to data collected from different studies conducted over the years it seems like the increase dosage of Vitamin C helps against the common flu and it can also lighten the symptoms and decrease the duration of the flu. We are not talking about Vitamin C that cannot be absorbed easily by the body. Ascorbic Acid cannot be correctly absorbed by the body without the help of the right amount of bioflavonoids. Only 8-10% is absorbed. We are talking about a molecular Vitamin C with a large amount of bioflavonoids which will have the maximum absorption. You are achieving nothing by consuming an effervescent vitamin with a few or no bioflavonoids. The right diet. Consume a lot of soups and proteins. Chicken soups or Meat soups are considered ideal because they combine water and proteins which are derived from the meat. Proteins are the most important part in building antibodies which our body uses to fight off viruses and bacteria. Do not consume any dairy products like milk, yogurt, eggs and cheese. Also stay away from sugar and any foods that turn into sugar like pasta, bread, rice and certainly alcohol. These foods contribute to a weaker immune system. No Smoking! It would be nice to quit smoking for many reasons but if you can’t, at least don’t smoke during the time you are sick. Scientists warn that for smokers the defense and restoration system of cells in the lungs are destroyed so that is why a respiratory virus can last double the time that it would normally. Get enough sleep. Not getting enough sleep has been linked to a laundry list of mental and physical health problems, including those that stem from an impaired immune system. 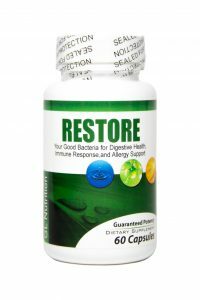 Our immune system is designed to protect us from colds, flu and other ailments, but when it is not functioning properly, it fails to do its job. 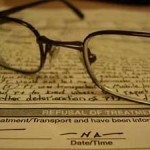 The consequences can include more sick days. In simple terms, sleep deprivation suppresses immune system function. Good bacteria fight the flu. 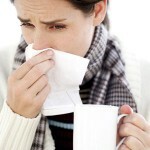 Bacteria present naturally in your body and sometimes found in food, could keep cold and flu viruses at bay. According to a study, young children who drank a mixture of such bacteria, known as probiotics, had fewer colds, needed fewer antibiotics, and missed fewer days of school. Researchers have already shown that probiotics can benefit those who are ill, and the bacteria are thought to boost the immune system’s response to invaders. Make exercise part of your life. When you exercise, you increase your circulation and your blood flow throughout your body. The components of your immune system are also better circulated, which means your immune system has a better chance of finding an illness before it spreads. This includes (but is certainly not limited to) seasonal colds and the flu. According to a recent Flu Surveyby the London School of Hygiene and Tropical Medicine, exercising vigorously for at least two and a half hours each week can reduce your chances of catching the flu. The survey suggests that 100 cases of flu per 1,000 people could be prevented each year this way. You should wash your hands before every meal, before and after your visit to the bathroom, when you get in contact with places like buses, metro station and generally where a lot of people have been there before you. It would be a good idea to have a cleansing gel with you. Which Vitamin C is better? In a lot of studies conducted it has been proven that bioflavonoids help with the absorption of Vitamin C. So if you want to consume Vitamin C that is absorbed correctly then you have to choose one with many Bioflavonoids. In a study conducted it was found that Vitamin C with Bioflavonoids had 35% more absorption than Vitamin C without Bioflavonoids. So for a Vitamin C 1000mg to be absorbed as much as possible it must contain at least 500mg of Bioflavonoids like rutin, hesperidin, acerola, rosehip berries, and quercetin. 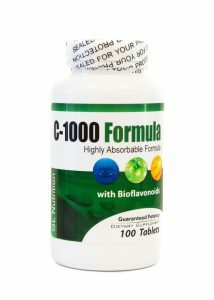 In our opinion Natural Vitamins Vitamin C 1000mg with 525mg Bioflavonoids is an excellent choice. I cannot consume a lot of fluids. What can I do? You can always have with you a bottle of water. Your goal is to empty that bottle every two hours. You can have a sip every 10 minutes. It is not that hard to empty a 500ml bottle in two hours. Don’t forget that drinking plenty of water also helps with losing weight so think again. How will I ventilate the house in the winter when it is cold? When we say keep your environment ventilated we don’t mean that you have to have all your windows open at the same time. You can ventilate each room at a time by opening a window for 15 to 20 minutes and then moving to the next room so that you keep the temperature in your house stable. Can I take an effervescent vitamin C that is more easily swallowed? One thing is for sure that Vitamin C should not be consumed in an effervescent form. Effervescent Vitamin C is not absorbed by your body because it doesn’t contain bioflavonoids, it ruins your tooth resin, it contains sweeteners that are dangerous for your body like aspartame and it causes problems with your stomach because the sweeteners it contains like sorbitol are toxic. Furthermore a big amount of the effervescent vitamin C that we consumed with water is excreted in the urine. Is it that important to stop smoking when I have a virus? Like we mentioned above it would be great if you quit smoking for many reasons. If you cannot though, then at least stop smoking during the time you have the flu. It is very important that you are patient for 3 or 4 days until the flu has passed. I am sure you don’t want to stay in bed more days due to the cigarette. Smoking is disastrous but becomes even more disastrous when we are sick. Stay away from smoking during your flu days so that you get better sooner. By the right diet do we mean consuming soups all the time? Not necessarily. Soups are great while you are sick but there are other protein foods that we can consume that have great results also. The one thing for sure is that we should take care of our diet during our flu period so that we get better faster. How much sleep do I need to be healthy? Different people need different amount of sleep. Not everyone is the same. Some people may have a very busy schedules and a much more active life than other people thus needing more sleep. Generally adults should be ok with an eight hour sleep. Some could need less than eight hours and others more depending on their situation. The most important thing though is to have good sleep hygiene. This could mean going to sleep at the same time every night and waking up at the same time every morning. Make sure that the bedroom environment is suited for sleeping. This means shutting off the computer and TV before bed. There is no specific answer that covers everyone. Generally you should avoid sitting all the time. If you are someone who has not been exercising at all, going for a 20 minute brisk walk three times a week is a good start. Slowly you can increase the time of your walks or you can increase the amount of times you go for a walk. Try to keep a brisk pace so that you can increase your heart rate. Apart from preventing a cold you are also taking care of your body. How much and what probiotics should I take? Pick one that has at least 7 strains, and at least 5 billion CFU (colony forming units). The gut has 30 to 40 strains of bacteria, so the more bacteria strains the probiotics has the better. Some research suggests that Bifidobacterium animalis lactis and Lactobacillus acidophilus NCFM can help reduce the duration and severity of the common cold and flu by enhancing the body’s production of antibodies. What is the dosage of Vitamin C that I should be ta king? 3,000mg vitamin C, in 3 equal daily doses. 4,000mg vitamin C if you are a smoker. 5,000-6,000mg vitamin C in 5-6 equal daily doses of 1,000mg if you are not a smoker but are in the same area with sick people. 6,000-7,000mg vitamin C in 6-7 equal daily doses of 1,000mg if you are a smoker and you are in the same area with sick people. In case some of you think these are really big doses the scientists have a different point of view! In 8 controlled studies with a placebo, in double-blind studies and in six clinical trials with no placebo, it was proven that doses up to 10,000mg Vitamin C daily and for up to 3 years is absolutely safe for the human body. That being said don’t start with such big doses, we advise you to talk with your doctor like you should do before starting any treatment with vitamins, supplement or drugs. If you follow all our recommendations as described above you will see that you will not be getting sick as often. But even if you do get sick it will not last as long and you will be up on your feet in a few days. It is very important that you follow these rules during the flu season for maximum health. 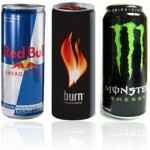 Should You Be Drinking Energy Drinks?